The perfect go-to blouse for any event and casual wear. The Adelia Top from MILLA may be plain to some, but for the true fashionistas, it&apos;s a gem. 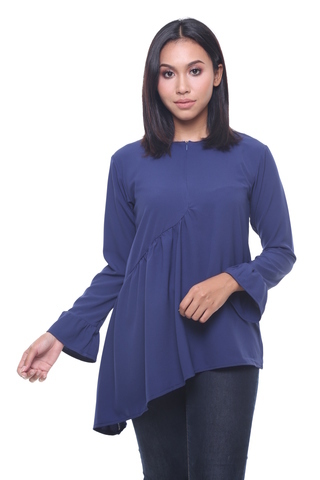 Designed with ruffle hand sleeve, pair this blouse with a long skirt or palazzo, and you&apos;ll understand why it&apos;s a must have.